Cover the bottom of the pan with about 1 cm (½ inch) of water. Bring to a boil. Crack the eggs carefully into the pan. Let them simmer for 2 to 3 minutes with the lid on. 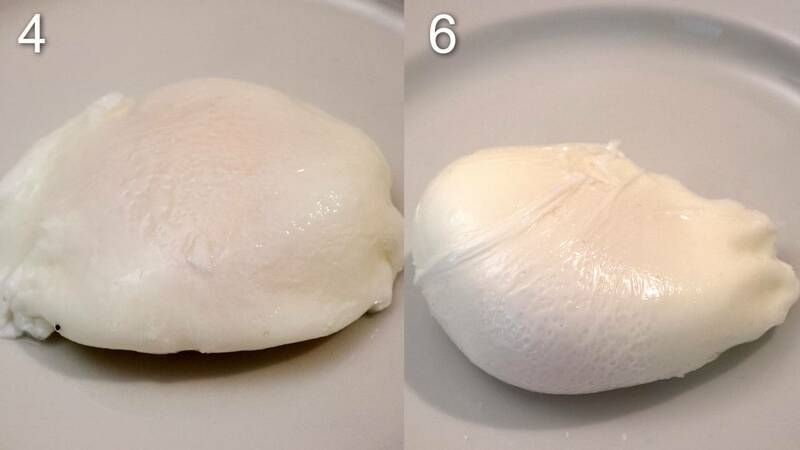 Remove the thin fraying parts of the egg white. Bring a pot of water to a boil. The more eggs you want to poach the wider the pot should be. Crack the eggs one at a time into a small glass or bowl. Bring the glass as close to the surface of the water as possible. Carefully pour the egg into the water. Avoid breaking the white. Let the eggs simmer for 2-3 minutes. There are two types of egg whites. The thin and the thick. The thick part is the one right around the yolk. It is the one that we eat when poaching the egg. The thin part is the one that floats around in the water afterwards. You have probably already noticed this yourself. 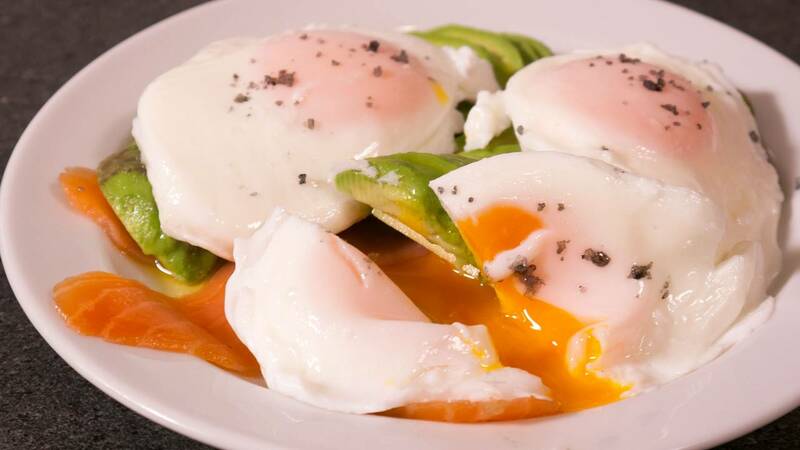 When you pan fry your eggs there is a thick white around the yolk that is a lot harder to get fully cooked than the thin white at the edge. The older an egg is, the less there is of the thick white. So it is important to use as fresh eggs as possible for poaching. Poached in 2 liters/quarts of simmering water. 1) lively stir before and once during the poaching. 2) lively stir once before the poaching. Poached in 2 liters of simmering water with ½ dl (1/4 cup) vinegar added. Stirring the water does nothing good. It is too easy to hit the wrong speed with the swirl, destroying the eggs, and the result does not get noticeably prettier when you do it right. 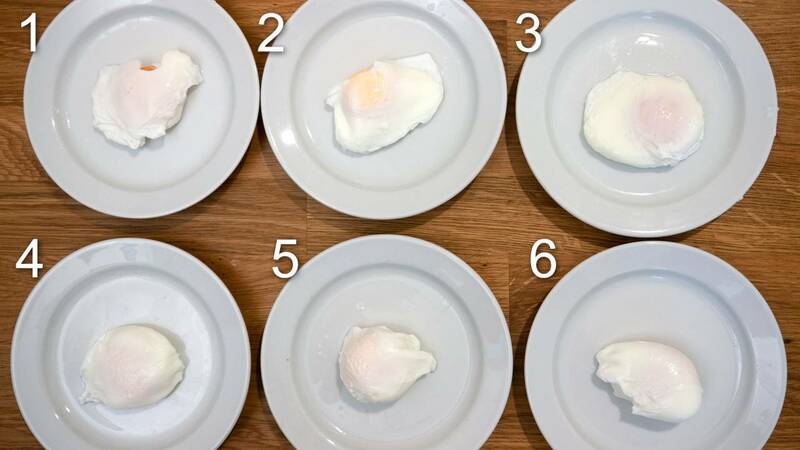 Adding vinegar makes a clear difference in the behavior of the egg whites in the water. But the final poached eggs does not look substantially better. And they taste and smell of vinegar. The consistent is mostly similar no matter the method. So the results are completely in line with my food idols notes about the subject. Harold McGEE "On Food And Cooking" page 90. "Other conventional cookbook tips are not very effective. 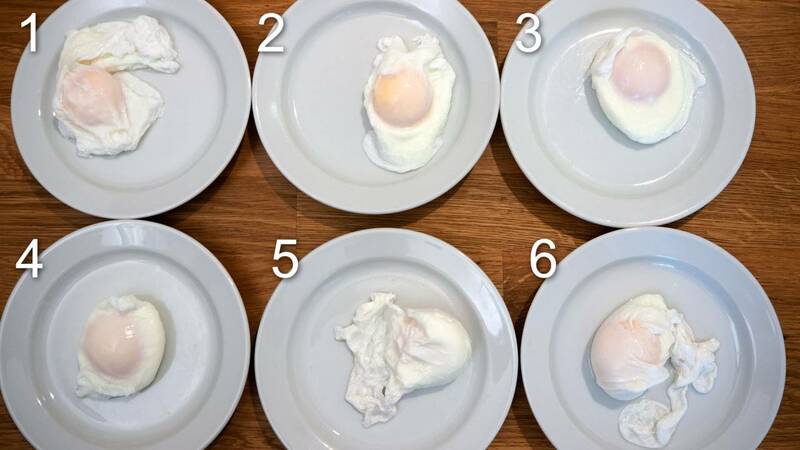 Adding salt and vinegar to the cooking water, for example, does speed coagulation, but it also produces shreds and an irregular film over the eggs surface."